With Google Adwords you set a daily budget which the Adwords system stays within (well usually :) ) right! 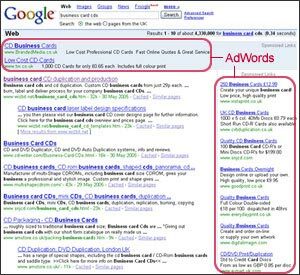 To stay within this budget Adwords will manage how many times your ad comes up (ie. your impressions) during the day. Now, a lot of people surf the internet from 9:00am to 5:30pm, and there are a lot of Google searches during this time. In fact there are so many searches that your entire impression base could nearly be exhausted in this time frame. But let's say your real prospect, the person who is literally starving for your product or service, goes on to Google at 10:30pm and starts searching. What if your ad was not showing just when your prospects needs it the most. To ensure that this does not happen, you have to know the time when most of your hot prospects are looking for the solution you provide. Then just pause your campaign for the other times during the day. Your ad will only show during the hours when your main prospect is looking for it. All for a lower cost (less competition).